Understanding what makes the members of your team tick, get engaged, and energized is the most effective way to grow the overall performance of your team. It starts with a more nuanced and predictive understanding of your leadership and how you can adapt to your role. GRI is your best ally to become the excellent manager you need to be. Managing people continues to be the hardest job every single day, but why? Because biases can prevent us from knowing what makes people tick, and intuition or a “gut feeling” has never been good enough. Competition for talent is high. What can you do? Your path to management excellence is to learn objectively how people can grow their talent, and how you can provide them with customized support. Employees with meaningful experiences, who can surpass their goals, will be your ultimate reward. They will build your reputation as an excellent manager and grow your leadership. What kind of leader are you and what do you need to improve? What’s your best way to perform as a manager? How can you excel in your job as a manager? How can you be positive about others and their behaviors that may sound odd, but are nevertheless needed for the team’s success? Who will be the best addition for your team? What do your employees need? What does your organization need? And what do you need to successfully bridge those needs and yours? There is ever-growing competition in the workplace, along with demands to understand, recruit, and manage people more efficiently than your competitors do. Learning how is not an overnight process. With the GRI survey, our services and trainings help you get there faster than any other solution offered on the market today. What are your strengths, inclinations, intrinsic motivations, and communication style? How do you lead your team? Having your GRI profile in hand helps you better know who you are and get a better sense of your goals and how you will reach them. When the oxygen masks drop in an airplane, you’re told to put your own mask on before helping others. This works similarly in management—you must understand your own style and behaviors before effectively addressing the behaviors of others. Option 1: Not Ready to get trained yet? - Start with a service for your team. It is just as hard for others to understand their own talents, strengths and motivation as it is for you. Giving your team a chance to take and experience the GRI helps them understand how they can build their own path to success, and work together as a team. Ask us to organize your team assessment, provide feedback to team members, and help you analyze how the talents and strengths in your team add up. Option 2: Learn the Art and Science of Management with the GRI. Demands can change in an instant and resources in people are volatile. As a manager you can’t afford to wait years to increase your knowledge for building a highly productive team. Attend the GRI’s Build the Dream Team training, and learn how to use the GRI to better select, interview, and motivate, while re-discovering your team and unveiling GRI’s transformational power. The Impact of the GRI Performance-driven Approach is Deep. Using the GRI to build and manage your team will remove unnecessary friction between people and their jobs. It will raise engagement and performance to new levels. When individuals on the team are better aware of their own strengths, motivation, and talents, they make better-informed decisions, and are more accountable to raise teamwork to a new level. Showing appreciation of team members and their unique way to perform, highlighting their strengths and talents, builds trust and improves relationships at work. Having a more nuanced understanding of the behaviors needed to perform in each position on the team will bring new insights into how everyone can adapt to meet performance goals. The GRI profiles and their factors provide everyone the vernacular to better communicate and understand each other. 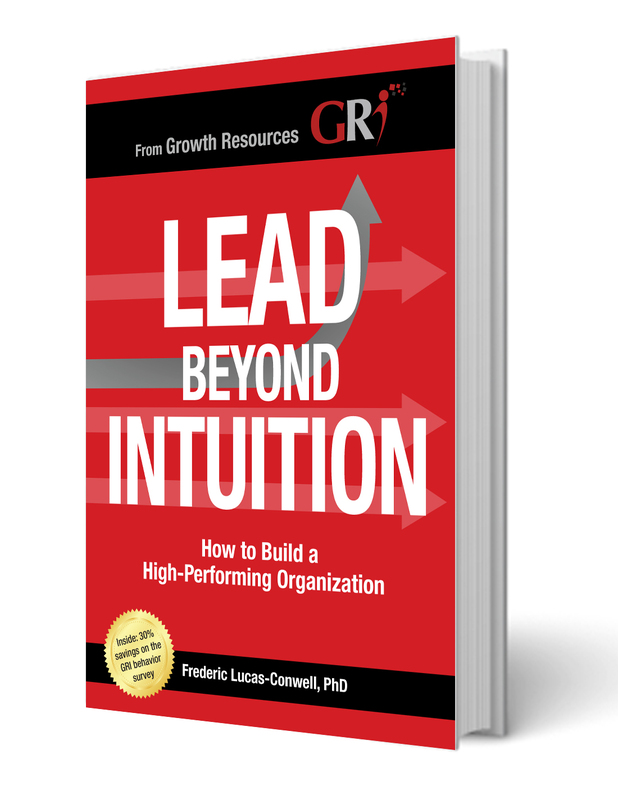 Buy our book Lead Beyond Intuition to learn how to recruit and manage people more efficiently. Understand the powerful connections between performance-driven development and business performance. Learn about the art and science of managing people. Boost your emotional intelligence and managerial skills. Improve your team’s performance using the GRI. Gain an understanding of the team’s behavior profiles. A GRI consultant will assist in organizing your team assessment, provide everyone with a better understanding of how to build their own path to success, and bring insights to better work as a team. 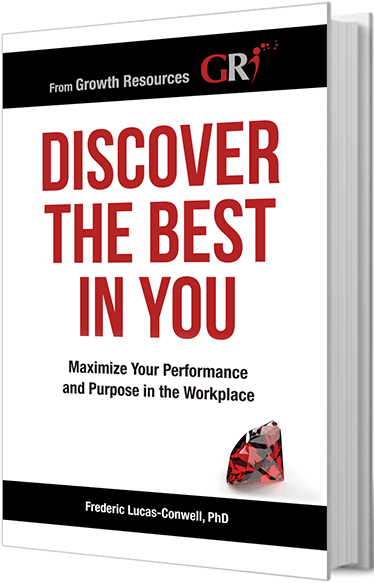 Learn proven, performance-driven techniques for motivating your employees, including how to assess job demands, share information, interview, and enhance team performance from the beginning — even selecting and onboarding new team members. Complete this form to contact us and discuss the best option for managing your team to greatness using the GRI.